GBCI | Green Business Certification Inc. The premier organization independently recognizing excellence in green business industry performance and practice globally. GBCI is the only certification and credentialing body within the green business and sustainability industry to exclusively administer project certifications and professional credentials of LEED, EDGE, GRESB, Parksmart, PEER, SITES, TRUE and WELL. More than 300 full time GBCI technical experts and consultants specialize in architecture, engineering and building management. GBCI has a global strategic partnership with Bureau Veritas to deliver onsite certification and verification as well in country support to project teams. GBCI is known around the globe for its commitment to quality and transparency. Certification teams can measure their project's green performance with Arc, a state-of-the-art platform designed to collect, manage and benchmark data. Learn more about Arc. GBCI offers federal agencies and the Department of Defense a robust analysis of your work to meet the Guiding Principles. Learn more about the Guiding Principles Assessment by GBCI. GBCI administers the LEED certification program, performing third-party technical reviews and verification of registered projects to determine if they have met the standards set forth by the LEED rating system. Dedicated technical experts ensure building certification meets the highest levels of quality and integrity. GBCI is a certification provider for EDGE in over 120 countries around the globe and the exclusive certification provider for EDGE in India. An innovation of IFC, a member of the World Bank Group, EDGE is a green building certification system focused on making buildings more resource-efficient. EDGE empowers developers and builders to quickly identify the most cost effective ways to reduce energy use, water use and embodied energy in materials. GRESB is an independently operated subsidiary of GBCI. Established in 2009, GRESB is an investor-driven organization that is transforming the way we assess Environmental, Social and Governance (ESG) performance of real assets globally, including real estate portfolios and infrastructure assets. GBCI administers Parksmart, formerly known as Green Garage Certification, the world’s only rating system that defines, measures and recognizes high-performing, sustainable garages. GBCI administers PEER, or Performance Excellence in Energy Renewal, a comprehensive, consumer-centric, data-driven system for evaluating power system performance. GBCI administers the Sustainable Sites Initiative (SITES®), a program that offers a systematic, comprehensive rating system designed to define sustainable sites, measure their performance, and ultimately elevate the value of landscapes. GBCI now administers TRUE Zero Waste certification, a program for businesses to assess performance in reducing waste and maximizing resource efficiency. GBCI administers the WELL Building Standard, an evidence-based standard, which sets performance requirements in seven categories: air, water, nourishment, light, fitness, comfort and mind. GBCI credentials consist of competency exams and certificate programs. The GBCI credentialing team consists of program managers, test developers and psychometricians who design, develop and maintain the credentialing exams. The exams are constructed using rigorous test development best practices to assess whether working professionals have the minimum competencies to perform their jobs. GBCI credentials require ongoing maintenance to encourage credentialed professionals to participate in learning experiences that demonstrate continued competency and up-to-date industry knowledge. GBCI has received and maintained Personnel Certification accreditation from the American National Standards Institute (ANSI) since 2011. Accreditation ensures that a certification agency meets a recognized standard for the programs and services it employs, and that the certification agency is engaged in continuous review and quality improvement. GBCI develops and administers the ANSI-accredited LEED professional credential exams, which include the LEED Green Associate and LEED AP with specialty credentials. 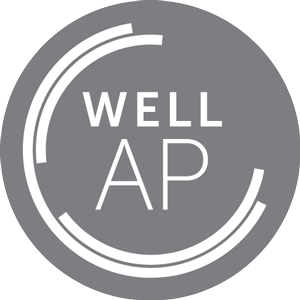 The WELL AP provides professionals with the opportunity to demonstrate advanced knowledge in human health and wellness in the built environment. WELL APs have a documented, full understanding of the industry’s latest principles and practices, along with a specialization in the WELL Building Standard program. 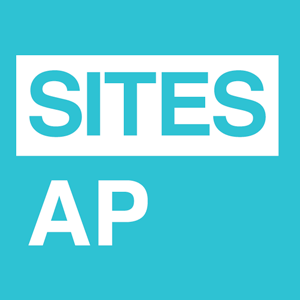 The SITES AP is the first credential specifically targeted to those who work and care for land and its resources and communities. The credential establishes a common framework to define the profession of sustainable landscape design and development, and also provides landscape professionals with the opportunity to demonstrate their knowledge, expertise and commitment to the profession. The exam was built on the expertise of leading practitioners and is intended to test a candidate’s competency to perform the job functions of a SITES AP. The City Climate Planner program helps city staff and their partners develop the skills needed to advance local climate action in cities worldwide. The Urban Greenhouse Gas Inventory Specialist credential focuses on community-level greenhouse gas emissions inventory accounting, which is a key building block in developing quality climate action plans. It is geared toward practitioners developing city and community-scale greenhouse gas inventories and is based on the Global Protocol for Community-Scale Greenhouse Gas Emission Inventories (GPC), the most comprehensive global protocol for calculating and reporting GHG inventories. As part of our mission in accelerating better green business practices worldwide, we administer the Green Rater and TRUE Advisor certificate programs. In addition, GBCI provides training for EDGE Expert candidates, which are accredited by IFC, a member of the World Bank Group. Green Raters perform onsite verification services for LEED BD+C: Homes and Lowrise and LEED BD+C: Multifamily Rating Systems. They provide verification services; serve as a liaison between GBCI and the Project Team; and prepare the project’s certification application for review by a LEED for Homes Provider Quality Assurance Designee. TRUE Advisors are trained on the TRUE Zero Waste Rating System. They understand the rating system's requirements and help projects achieve certification. TRUE Advisors have a practical understanding of the most current zero waste business principles and demonstrate a clear commitment to professional growth in advancing TRUE values. EDGE Experts are professionals who help a developer, owner and larger project team understand the EDGE standard, software, and certification system. The scope of an EDGE Expert’s work includes advice on green design and assistance with preparation of an application for EDGE certification. EDGE Experts are accredited by IFC, a member of the World Bank Group. GBCI provides training to EDGE Expert candidates. Green Business Certification Inc. (GBCI) is the premier organization independently recognizing excellence in green business industry performance and practice globally. GBCI is comprised of 140+ staff experts and 600 consultants apportioned into three teams that form a paramount organization through certification, credentialing and customer support. With locations in the U.S., Europe, India, China and Mexico GBCI supports project teams and professionals in over 160 countries. View financials from 2015-2016. GBCI provides third party verification services for certification and credentialing through a scientific process by which a product, process or service is reviewed by a reputable and unbiased third party to verify that a set of criteria, claims or standards are being met. Certification and credentialing is used within the global green building industry to demonstrate credibility, provide a metric for comparisons and add significant value. Interested? Contact us. Mission: Green Business Certification Inc. (GBCI) is the premier organization for independently recognizing excellence in sustainability performance and practice globally. Through rigorous certification and credentialing standards, GBCI drives adoption of green business practices, which fosters global competitiveness and enhances environmental performance and human health benefits. Vision: Businesses and communities will regenerate and sustain the health and vitality of all life within a generation. GBCI ensures best in class delivery and full service offerings including brand building and brand management, user experience, platform development, sales and marketing. GBCI also provides a comprehensive go to market strategy support including sales, technical support, customer experience, marketing, advocacy and event management. We strive to ensure our methodologies and tools are consistent, rigorous and objective in measuring green business performance and professional practice. We are open in how we work and with the information we share to help create predictability and confidence in the marketplace and for our stakeholders. We’re constantly adapting and improving to meet the global marketplace’s current needs, advancing our knowledge to accelerate green business practices internationally. We establish high quality, enduring relationships with our customers and clients through our responsiveness and excellence in service. We drive market transformation that’s economically, environmentally and socially responsible by verifying strong, green business performance and recognizing individual expertise through accreditation.